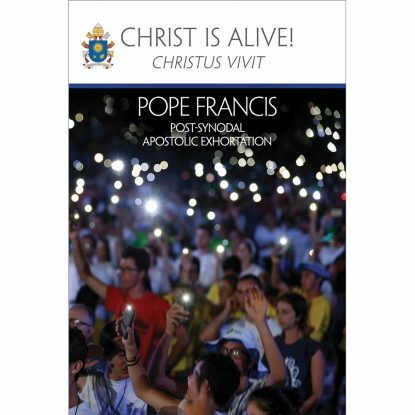 The cover of Christus Vivit (Christ is Alive! ), the apostolic exhortation published April 2 by Pope Francis on the concerns of youth in the church. The Philadelphia archbishop, who is chairman of the Committee on Laity, Marriage, Family Life and Youth for the United States Conference of Catholic Bishops, and Cardinal Joseph Tobin of Newark, chairman of the USCCB Committee on Clergy, Consecrated Life and Vocations, released a joint statement April 2 on the same day as the release of the pope’s apostolic exhortation, Christus Vivit (Christ is Alive!). The document follows the synod of bishops held in Rome in October 2018 on the topic of young people, the faith and vocational discernment. Pope Francis began the synodal process of studying the church’s engagement with young people in 2016. After two years of consultation by episcopal conferences, movements and Catholic organizations, along with a worldwide online survey and a pre-synod meeting with young adults in March 2018, the General Assembly of the Synod of Bishops met in October 2018. Christus Vivit may be ordered online in English and in Spanish, along with other pertinent books and resources, through the USCCB.